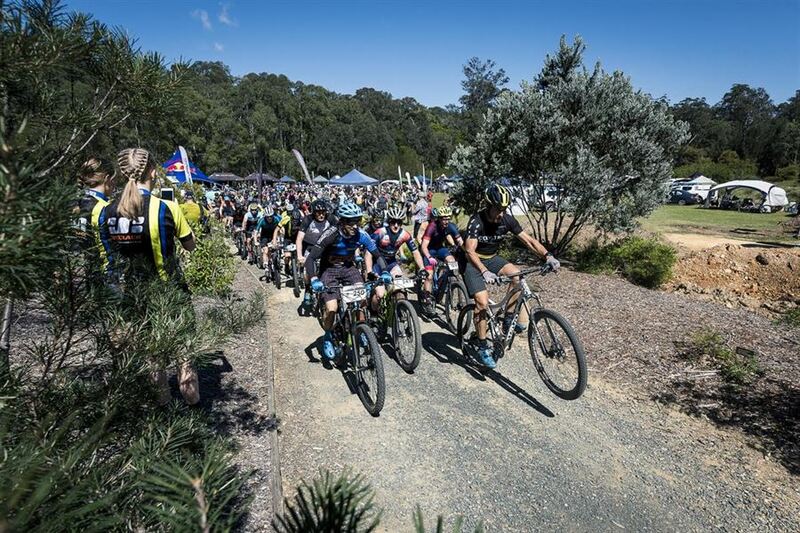 Ride all kinds of wonderful in the Jetblack Wild Wombat MTB Event in Batemans Bay in the beautiful Eurobodalla Shire. Join fellow MTB riders for an awesome experience riding and racing amongst the natural beauty of tall forests, rivers and beaches. 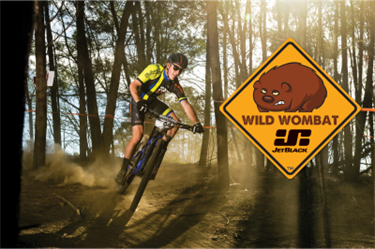 With its beach event centre right in the heart of Batemans Bay at Corrigans Cove the Jetblack Wild Wombat kicks off with a "Sand and Dirt Criterium Race" on Saturday evening. 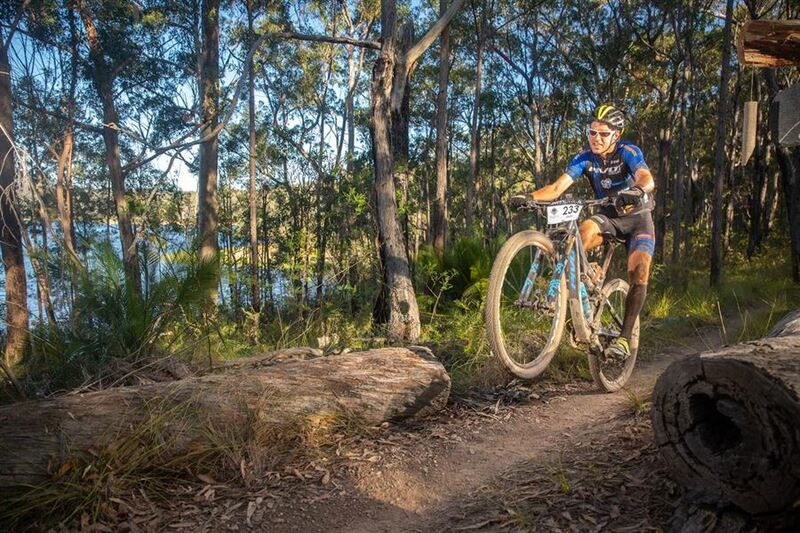 Ease into a fun riding and racing weekend and enjoy a beautiful sunset by the river on the bike doing laps on the short track or pick up your number plate for the next day and be right in the middle of all the action. The Sunday will start with a fun "Wild Scavenger Hunt" - team up with family and friends and make your way to the Dam Loop hunting for points along the way. Once at the loop you will do 1 hot lap with your team mates where having fun out on track will be more important than the time posted. When you are done head back to the Event Centre and collect your finisher prize from the Rocky Trail bazaar. In the afternoon it will be all about racing against the clock at the "Wild Solo Challenge", which lets you chase your personal distance goal back on the 7.1km Dam Loop. You can ride to the race track together with your fellow competitors on an untimed track, which is approximately 6.5 km long. You also have the option to take your car and park at the trail head of the racing circuit near the dam wall, but riding there together will me more rewarding and fun. Once at the start you can do as many laps as you can fit it. The start will be on the highest point after the first climb and the finish just before the dam wall. We will have a leader board for: Fastest Lap, Fastest 3 Laps and Fastest 5 Laps. Everyone who achieves their personal riding goal is a winner and gets a finisher gift! Discover the beautiful Eurobodalla region - bring your partner and families and stay for the weekend in and around Batemans Bay, the holiday paradise on the South Coast! Find accommodation partners and ideas about what's on for them in the region while you race on the event website. We will showcase the delicious culinary highlights this region has to offer in the event centre and provide you with lots of ideas about what experiences await you! This is ideal for families - free kids activities will be offered for the little ones in the event centre and the older kids can join Mum and Dad out on track to celebrate their achievements at the Wild Scavenger Hunt with special 'Wild Shredders' categories. This event is all about riding and racing at your own pace! 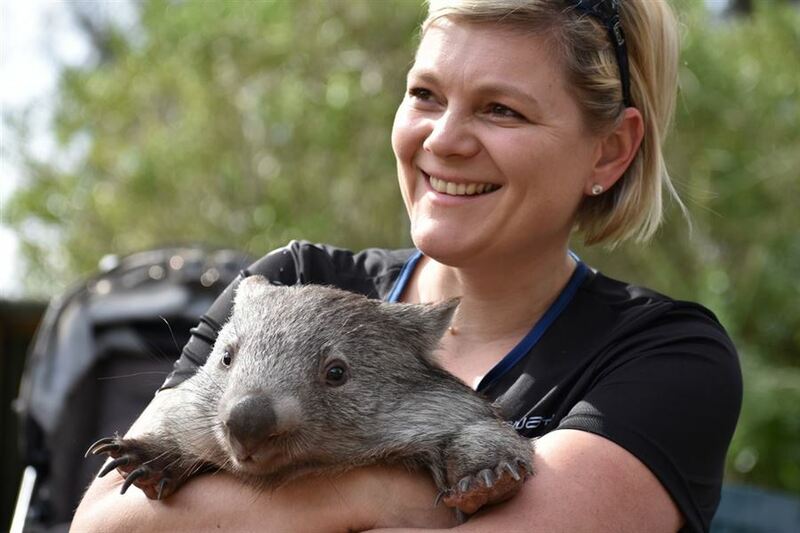 Groups of families and couples can choose their challenges and while the keen beans race against the clock in the afternoon, there is so much to see and do in and around Batemans Bay! Quite possibly the perfect 'Bikes and Beaches' getaway for young, enthusiastic and experienced mountain bikers!